TEHRAN, Iran - Iran's foreign minister on Monday offered to look into charges that agents of his government were involved in a plot to assassinate the Saudi ambassador to Washington, if the U.S. provides enough information. The statement by Ali Akbar Salehi was the first indication that Iran might cooperate with the investigation, though other officials maintained a steady stream of ridicule and rejection of the charges. In Switzerland Monday, Iran's parliament speaker said American officials are playing a child's game and have insulted his nation with the accusations. "The issue and the plot is so naive that it doesn't need any mediation at all," said the speaker, Ali Larijani. Iran's semiofficial news agency ISNA quoted Salehi as saying Iran would deal with U.S. claims patiently, even if the case is seen as a fabrication. He said Tehran has asked the U.S. to provide information about those arrested, so that Iran can examine their background. 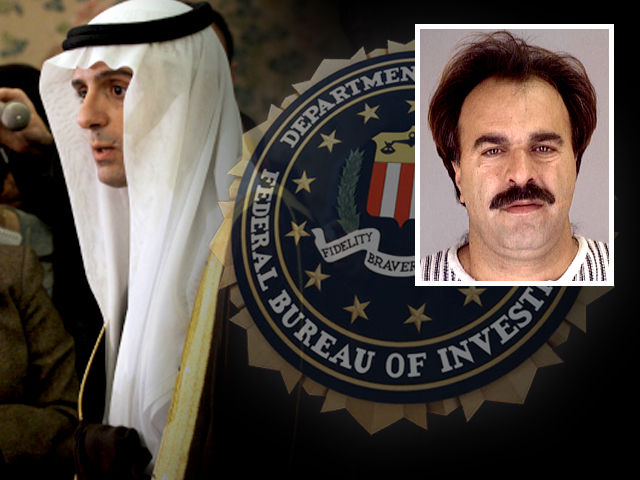 Manssor Arbabsiar, a 56-year-old U.S. citizen who also holds an Iranian passport, was charged in a New York federal court along with Gholam Shakuri, whom U.S. authorities said was a Quds Force member, with conspiring to kill the Saudi diplomat, Adel Al-Jubeir. On Sunday, Iran's supreme leader warned the United States that any measures taken against Tehran over the alleged plot would elicit a "resolute" response. "If U.S. officials have some delusions, (they must) know that any unsuitable act, whether political or security, will meet a resolute response from the Iranian nation," state TV quoted Supreme Leader Ayatollah Ali Khamenei as saying. Iran also demanded that a diplomat be allowed to visit one of the men in prison. President Barack Obama pledged Tehran would be held accountable for "a pattern of reckless behavior by the Iranian government." U.S. officials have said no one was in immediate danger during the alleged assassination plot.